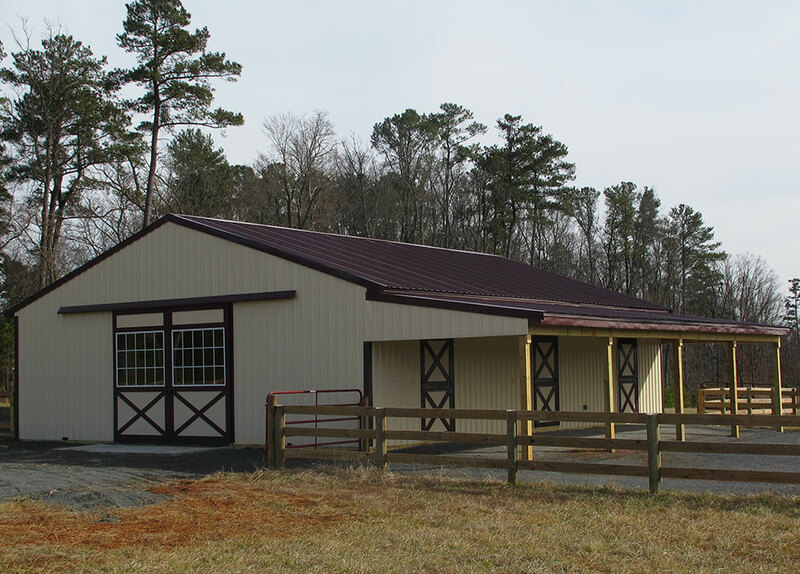 For this private barn located in NC we provided site work including plumbing, HVAC and electric. 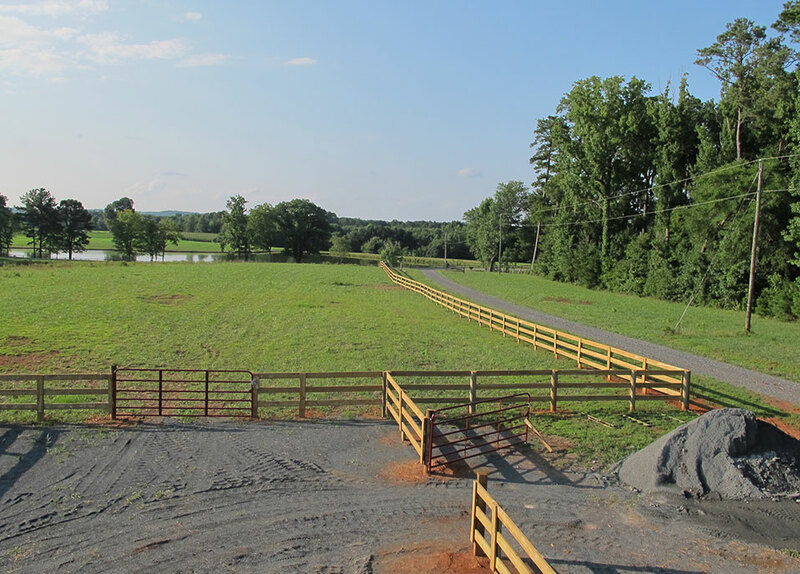 We designed paddock areas and installed over 6000 feet of fencing. 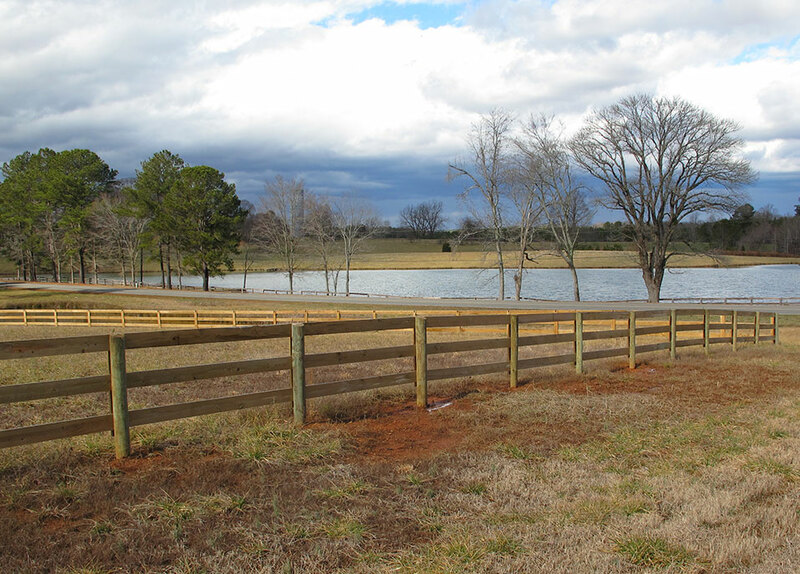 In addition to the 3 board fenced horse area there is a no climb fence for horse and dog enclosure. 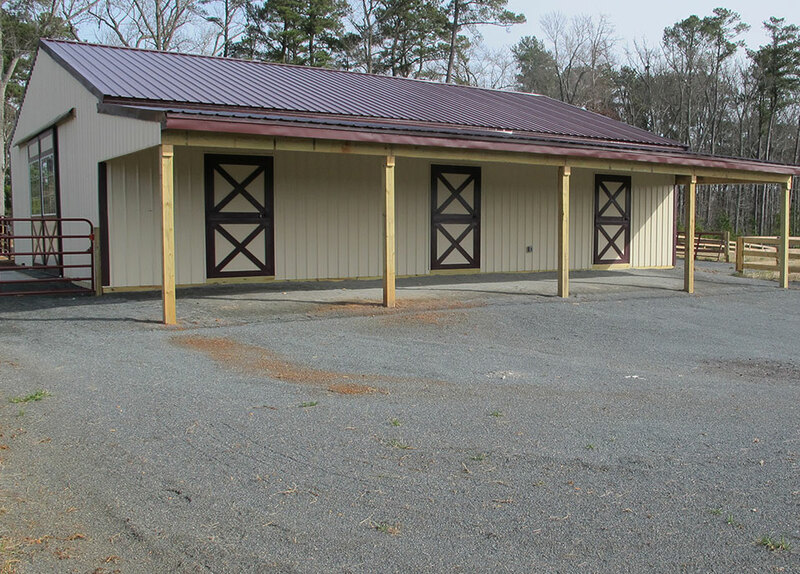 The metal 40 year siding and roofing pole barn that we constructed features three 12’x16’ stalls, rear shed row for stalls with custom dutch doors, custom wash stall with drainage system, custom tack room, interior hay storage, interior shaving storage, custom barn sliders, covered shed row for trailer and tractor storage and a dry lot attached to the barn with covered screenings. 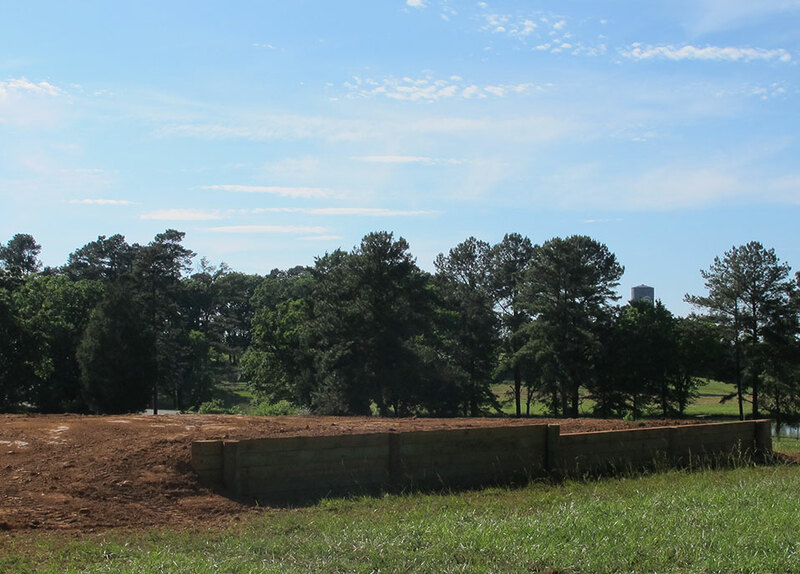 We also had the opportunity to add some unique features to the property including a custom bank jump, arena jump out and patience poll. 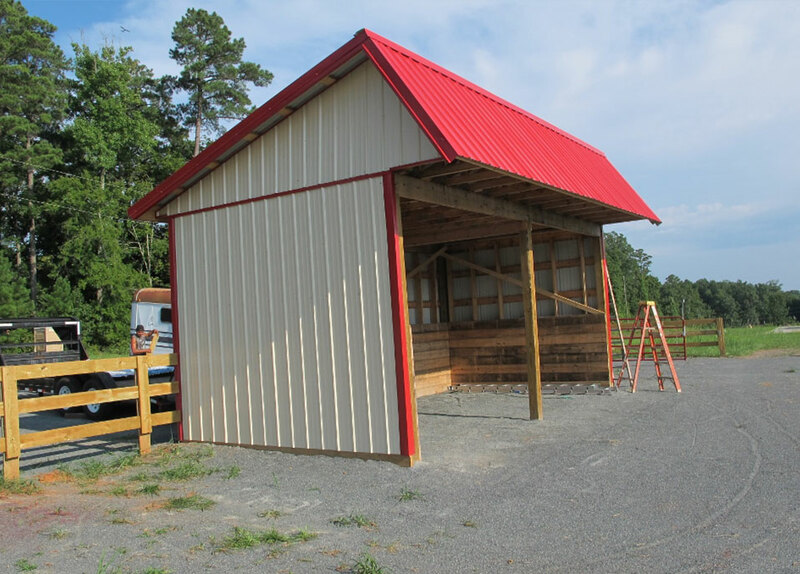 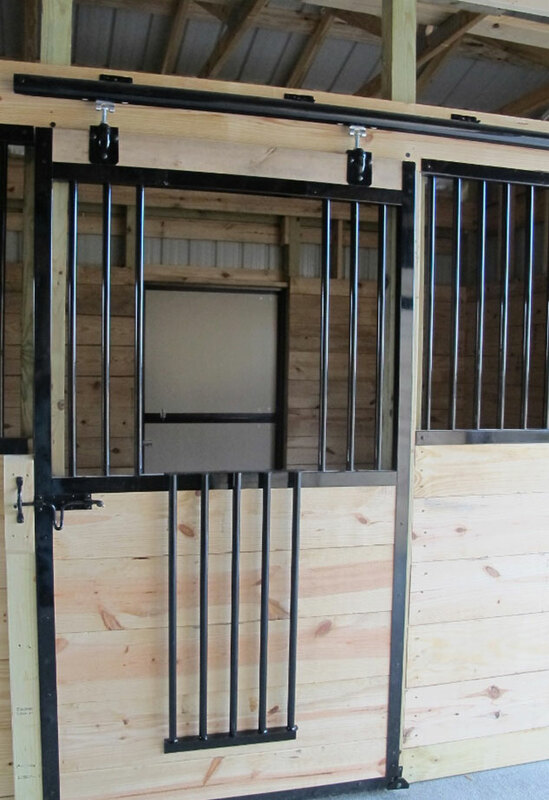 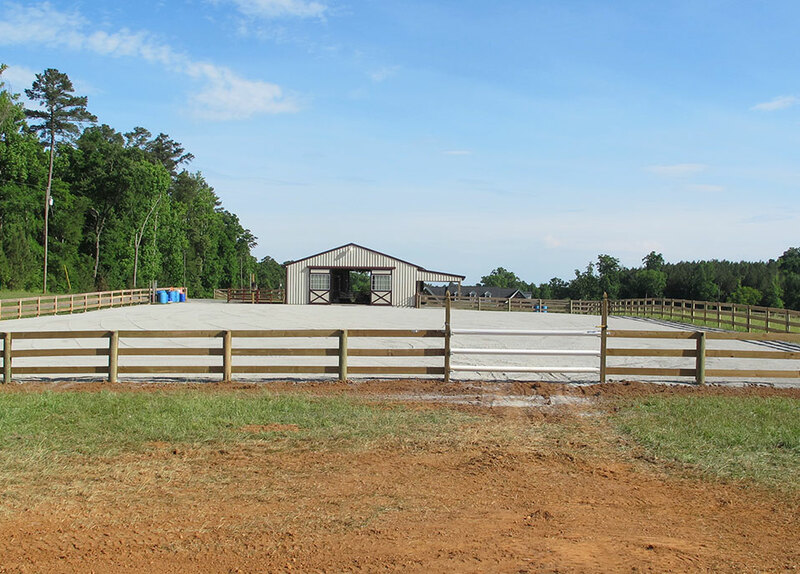 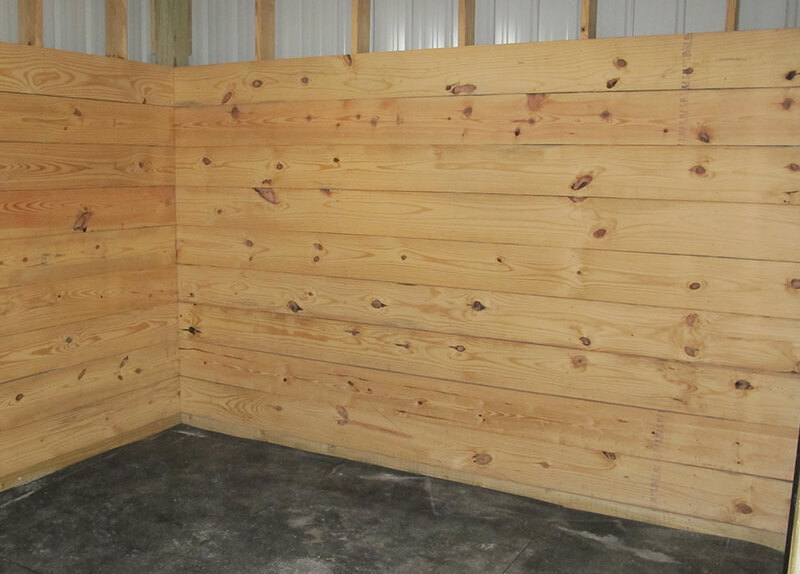 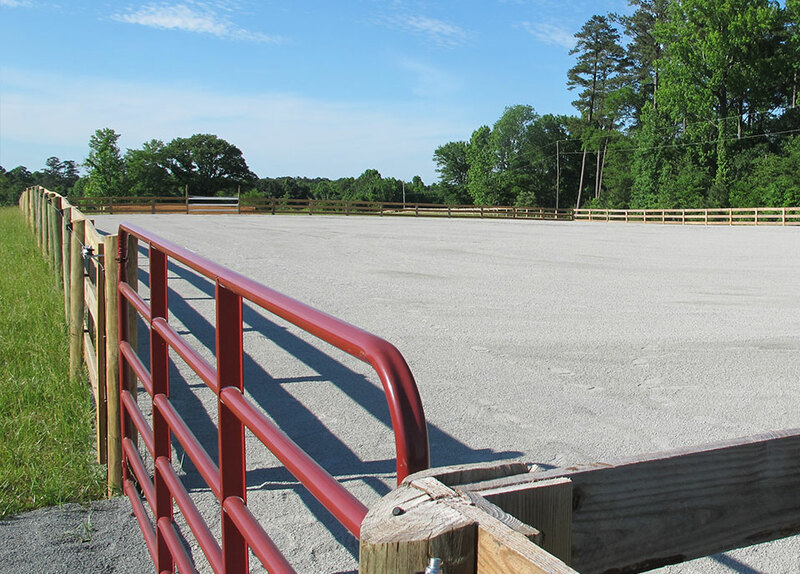 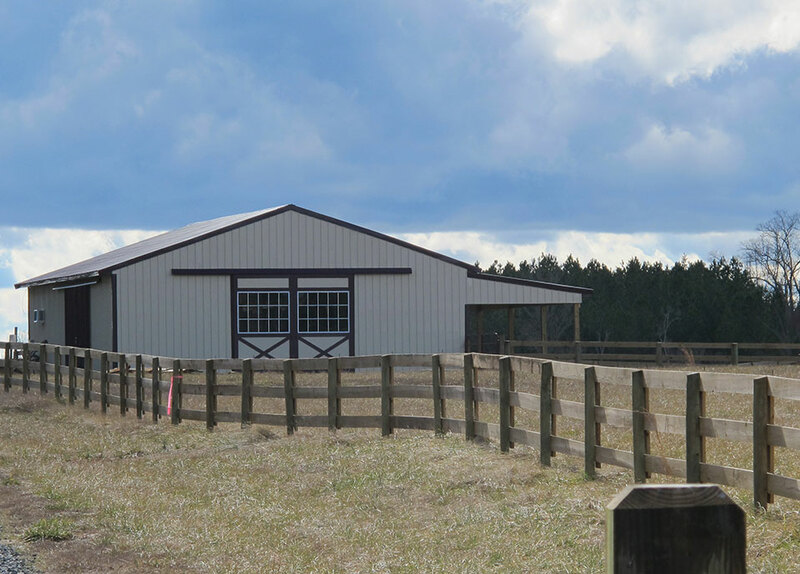 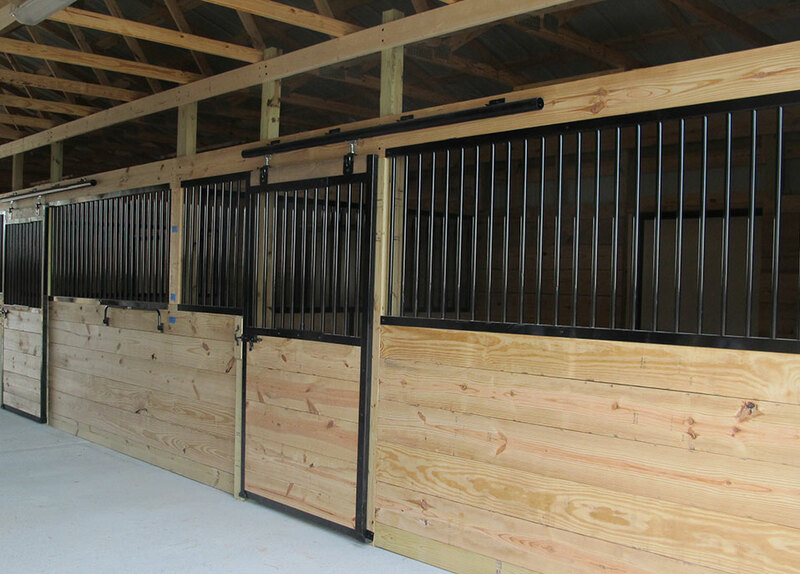 Whether you need a small horse barn or an entire commercial equestrian facility, Hoof Print Construction will bring your vision to life.